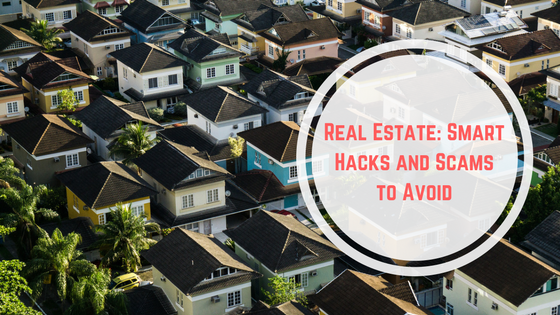 Real Estate: Smart Hacks and Scams to Avoid | The Farah Law Firm, P.C. Despite the numerous legal safeguards, checks and counters that the US’s financial system rely on, there is always another loophole exploited by scammers. This is especially true due to the fluid political climate; as legislation changes, such as with this week’s repeal of Dodds-Frank regulation, so too do the products and terminology offered to people. For vulnerable people, and in particular seniors, this poses a unique challenge, as scammers seek to take advantage of confusion and lack of knowledge to make illicit cash. Legal professionals are well equipped to deal with scams as they see them, and ensure that the house sale process, from beginning to title transfer, is safe and done above board. However, it pays – both psychologically and in the pocket – to be able to spot and address scams as they rear their head. According to CNBC, mortgage applications are up 10% across the country – including Texas. This is despite the chastening effect of the recent hurricane, which shaved 20% off mortgage applications in the short term. With such an influx of applications and work, a environment is created that is favorable for scammers to operate. Key among the mortgage scams that seniors are falling foul of is the reverse mortgage scams. Commonly, scammers with awareness of reverse mortgage fraud will falsely front for a foreclosed or abandoned property. A senior will purchase this property and then the funds will be diverted to the scammer. This can most effectively be tackled by using legal professionals as an independent third party and not strictly believing the valuation or advice of the seller. Rather than relying on first-hand interaction with the mortgage seeker, the mortgage closing scam often relies on try-your-hand fraudsters interjecting into the sales process. Digital literacy is often lacking in the senior generation, as identified by the Austin government who have introduced digital learning for seniors. For those not in the know, an email will appear in the inbox of those involved in the buying process purporting to provide new sale details. Soon after, if successful, an unwitting person will deposit funds into the account of the scammer – rather than the house seller. According to the NCOA, the most common scams perpetrated against seniors are related to the medical field. The rising cost of medicaid and medicare, especially in the context of shifting policies concerning medical aid, mean that seniors will often look online and from third party retailers for medication. However, these can be counterfeit pills or a placebo. Furthermore, enterprising scammers can find profit in scamming seniors out of medicare cash by falsely representing themselves as licensed agents. Involvement can also put of interest to federal agents seeking to pursue scammers. Legal help can assist here also, by asserting the senior person’s rights and ensuring that proper restitution is received from scammers to restore important trust. Senior people are often some of the most hard working in society and have put a lot in to deserve relaxation and security in those senior years. However, the unscrupulous people in every society make it it difficult. Between awareness and legal help, these scams can be nipped in the bud and trust restored.